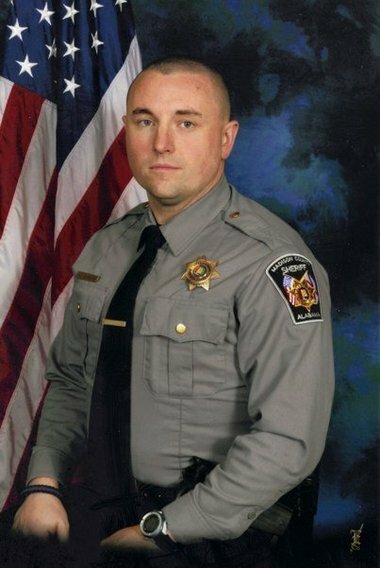 Madison County Deputy Brent Beavers would have instantly known what he was up against when Joseph Shriver got out of his car Monday night, knelt down and started firing his AK-47. “I’ve heard the AK-47 in multiple environments and it has a very distinct sound,” Madison County Deputy Sheriff Chris Stephens said. “It’s widely recognized by law enforcement. It has a sort of rat a tat tat sound, kind of a rattle. Police say Shriver fired at Beaver 12 to 15 times at the intersection of U.S. 231 and Joe Quick Road. Beavers was wounded and taken to Huntsville Hospital in critical condition, where he had surgery Tuesday and is recovering. So, how did Beavers survive the savage gunfire? 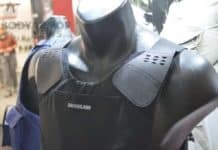 Beavers was wearing a ballistic standard bullet proof vest, issued by the Madison County Sheriff’s Department and approved by the National Institute of Justice, Stephens said. It’s mandatory that all 112 officers in the sheriff’s department wear the vest, which cost between $500-$700, Stephens said. Shriver fired the AK-47 at the deputy, tearing gaping holes in Beavers’ car. Beavers was hit in the face and his chest either by rounds, shrapnel or pieces of the car, Stephens said. After relaying the suspect’s information over the radio, Beavers was given first aid by a fellow deputy until an ambulance arrived. Shriver continued into Tennessee, where police say he next shot at Fayetteville Police Officer Justin Raby. Police captured Shriver after his car became stuck in a field near Fayetteville. Raby was treated for minor injuries at a hospital and released. Shriver is being held in the Lincoln County jail and charged with two counts of attempted first-degree murder, evading a police officer, possession of a firearm and vandalism, according to Fayetteville police. He is being held on a total bond of $1.6 million. Stephens said fortunately Beavers didn’t receive a direct full AK-47 round. He said there’s only one bulletproof-type vest that can stop a 7.62 mm full metal jacket steel round from an AK-47, and only the U.S. military has that. 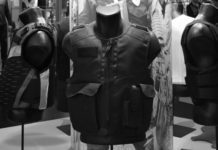 “With what was being shot there’s only one vest, conceivably, that can stop it,” Stephens said, referring to the military-issued vest. “It’s like level 5, and I’m not sure it can stop it. But it’s more resistant to it. Normally a NIJ Level IIIA bullet proof vest in combination with Level IV hard armor panels can stop AK-47 rounds including armor piercing. Level IV hard armor panels can be purchased by officers and are not restricted to military personel. One Level IV plate weighs around 6-7 lbs. Not very comfortable to wear all day. 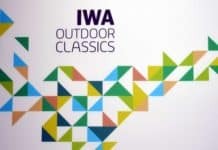 In this Youtube movie you see at 3 minutes 11 seconds what happens if you shoot with an AK-47 at a Level IIIA soft armor panel without Level IV plates. Even though he was wounded, Beavers was still able to back the car out and radio for help. “Distance and cover, that’s the first thing,” Stephens said when asked about dealing with an AK-47. “That’s the first thing you do and that’s what Brent did. You seek cover and understand what seeking cover means. A car door is not efficient against an AK-47. It needs to be a tree or steel, something with layers. Even if he hadn’t been wounded, Beavers’ standard issued .40-caliber handgun was no match for the AK-47, Stephens said. Some of the Madison County deputies have been issued M-16s, but he isn’t sure if Beavers had one. Stephens said the M-16 is the only weapon that can put somebody on an equal playing field with the AK-47.